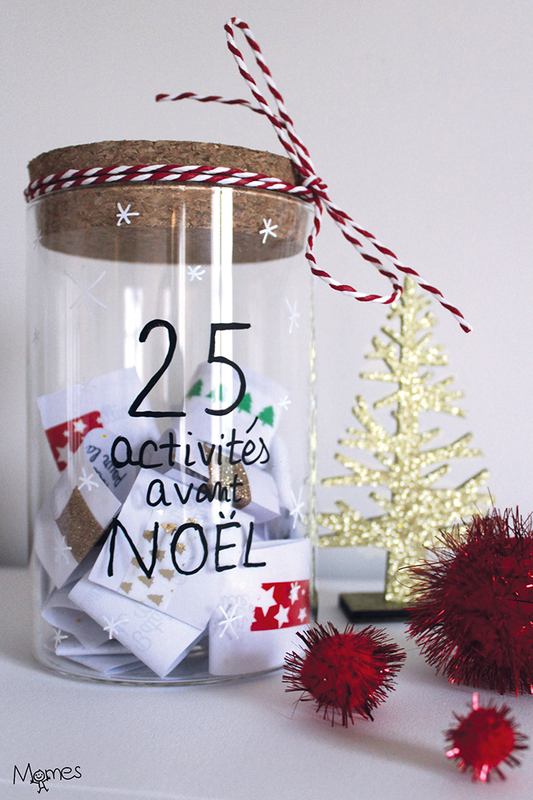 Are you looking for creative ideas to make your own last minute Advent Calendar? No worries, we are here to help! 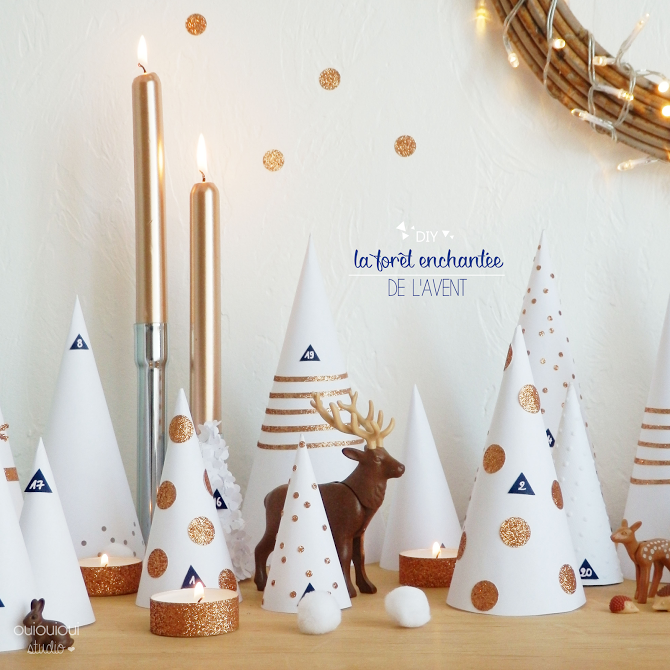 In this post, you will find ideas to create your DIY advent calendar and we offer as a gift a free set of numbers to stick to your gift to you make your own advent calendar! 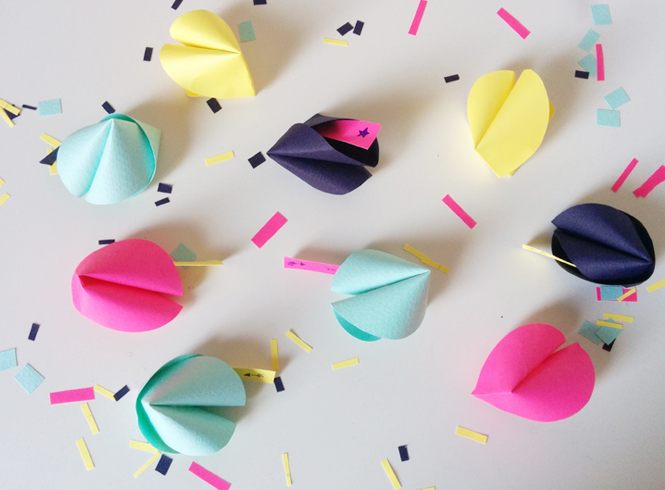 Who doesn’t want a bit of DIY activities to get ready for Christmas, right? 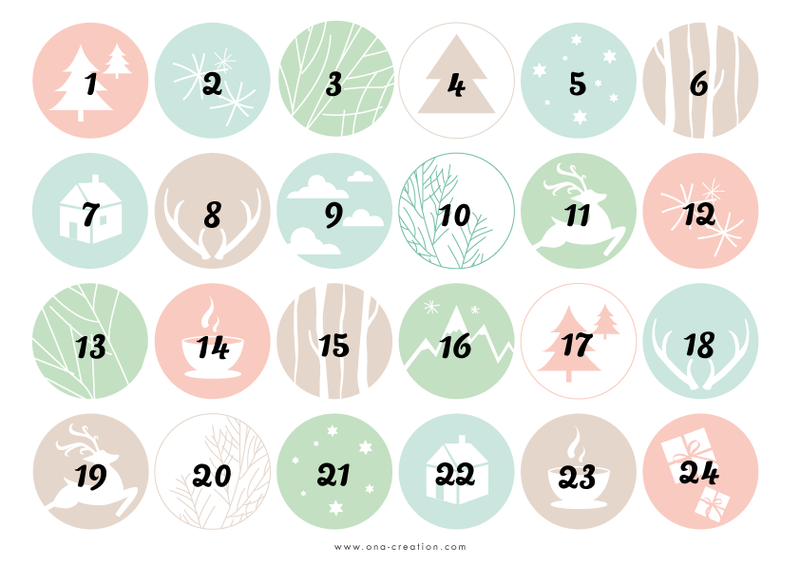 You can find the set of numbers for your advent calendar at the end of this post! This cute advent humper is one of the easiest things to make. The only difficulty you will face will be to wrap up all of the 24 surprises! 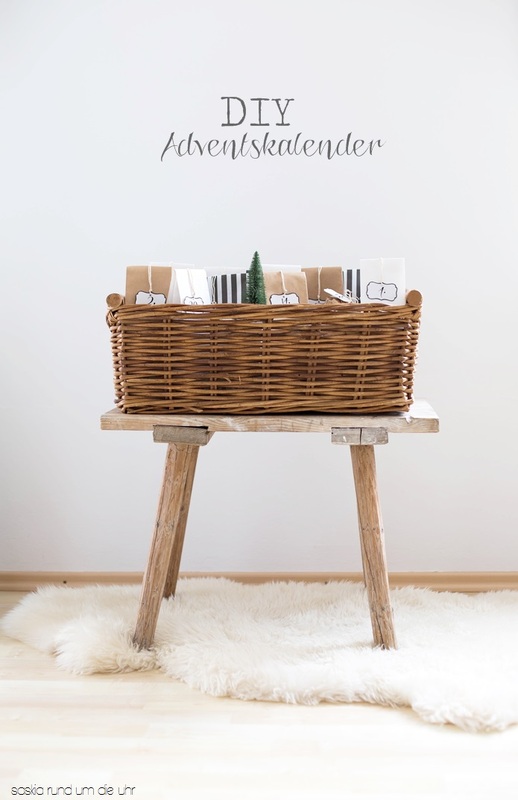 You just need a hamper (or a nice gift box) to put inside 24 gifts wisely numbered. Your kids will surely enjoy searching the gift of the day. 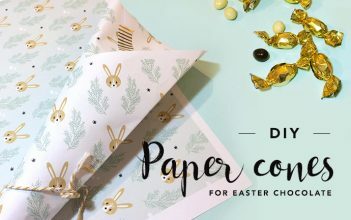 You can mix and match several types of wrapping papers so it adds a bit of color and variety to the advent calendar. Or why not using recycled paper to give a more eco-friendly and natural touch to it? And for the numbers, just write directly on the packaging or use the ones you can download for free at the end of this post! 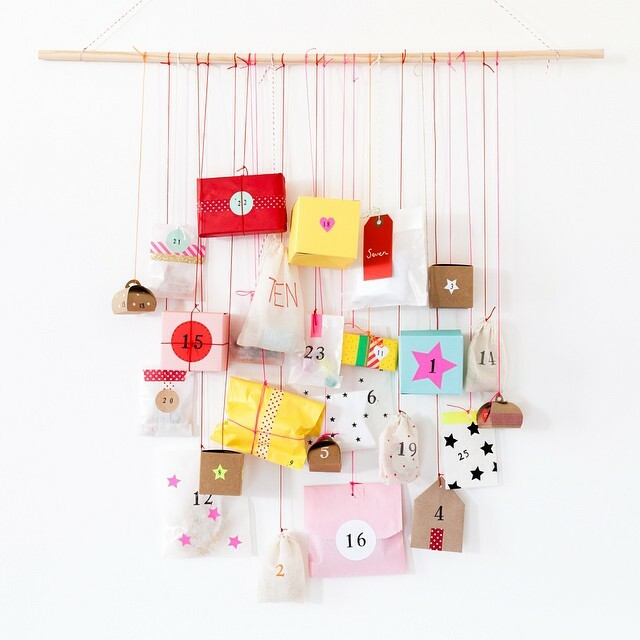 To bring a bit of life to your apartment what about an advent calendar to hold on a wall? 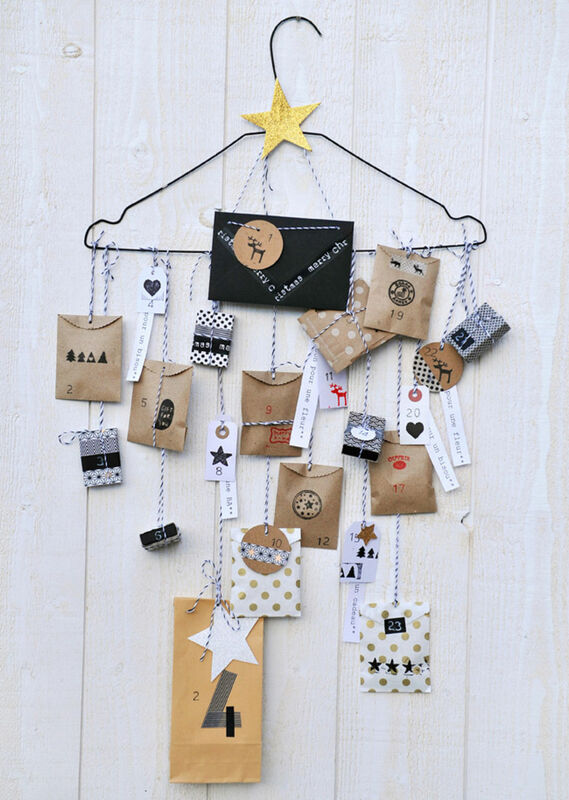 Just hang 24 envelope filled with gifts with a number on a hanger and voila! You can also use a piece of wood, a branch or a board. No need to buy something new: you can reuse anything you find around you: a curtain rod, a frame, you name it… You have so many options! 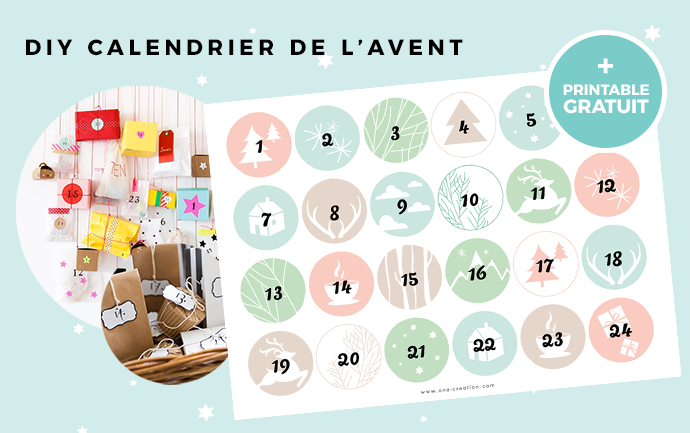 Every year, the french creator ZÜ offers a wonderful advent calendar to download for free. Last year, she did a fantastic job developing a full Christmas village advent calendar to download for free on her website. 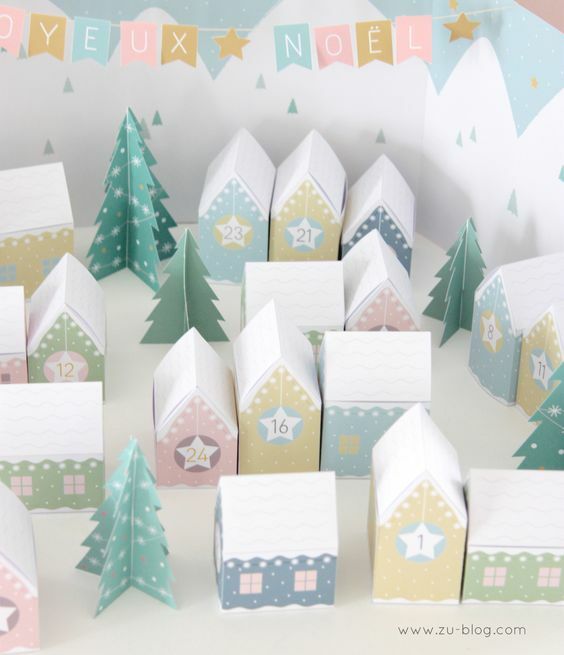 We really like this cute little village which will for sure please every DIY addict reading this blog! If you like this style, you may also like the option proposed by Ouiouioui studio which explains how to create your own enchanted forest! We love the golden patterns! Would you like to share more quality time with your family rather than offering something material every day? Then, this option is made for you! How does it work? Every day you offer a nice moment to share as a gift to one of your family members. 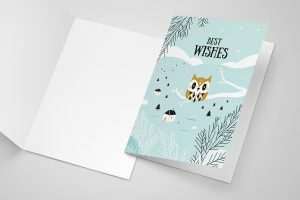 Just choose what would be the best 24 ideas that will make your family members happy and loved. You can find here some ideas to make it happen. 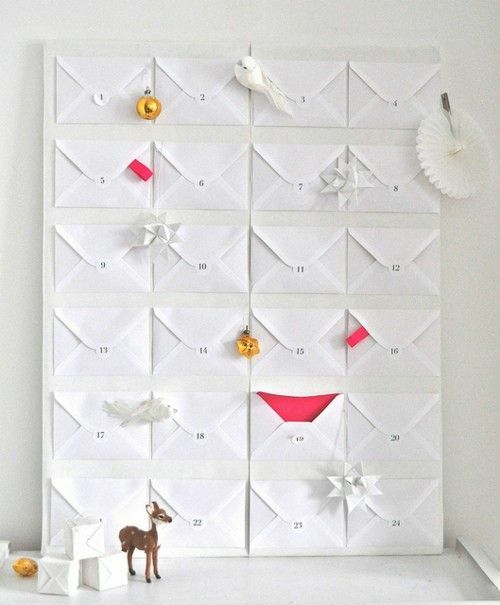 This advent calendar can be made out of envelopes that you stick to an empty board and where you just put the gift of the day inside a nice gift card! 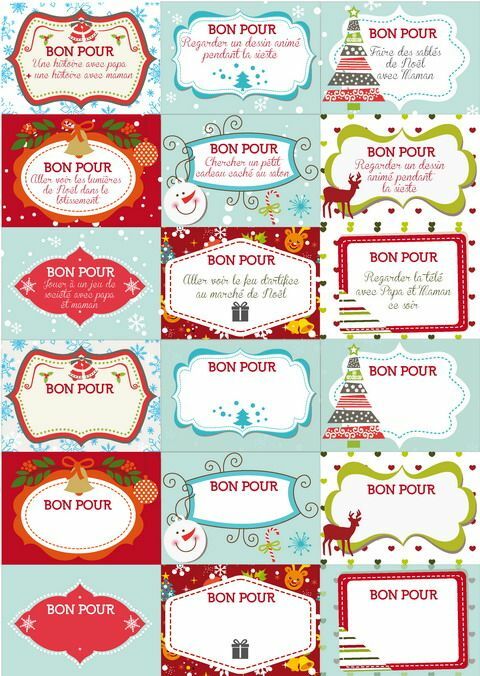 It could also be a set of vouchers for activities (“Bons pour”) that you can create yourself. 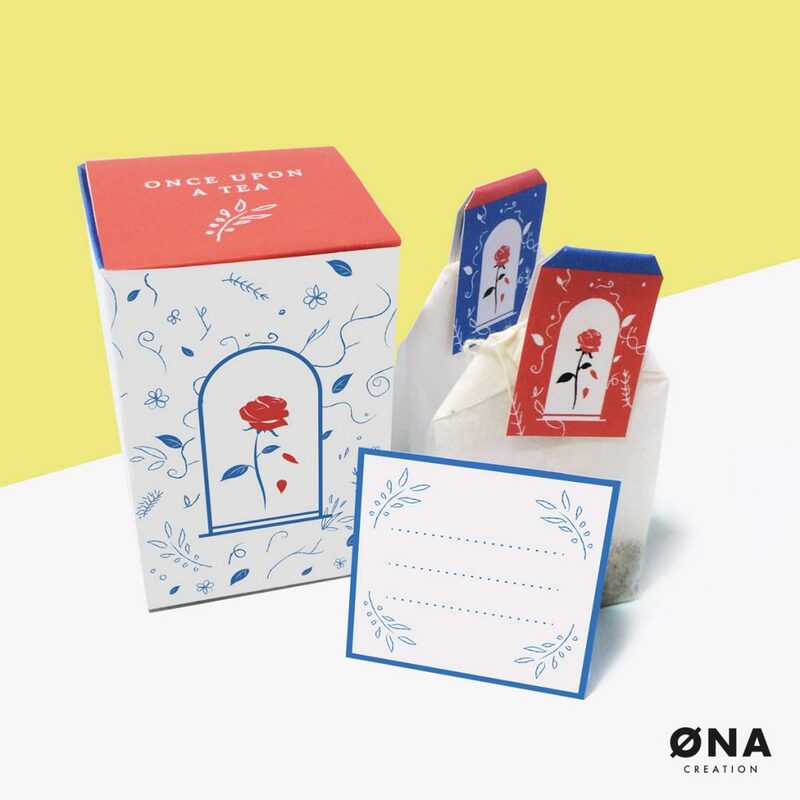 You can also simply use a jar where you put all the lovely moments inside and every day a family member picks randomly one for the day as proposed by the website Momes. You know the fortune cookies concept right? 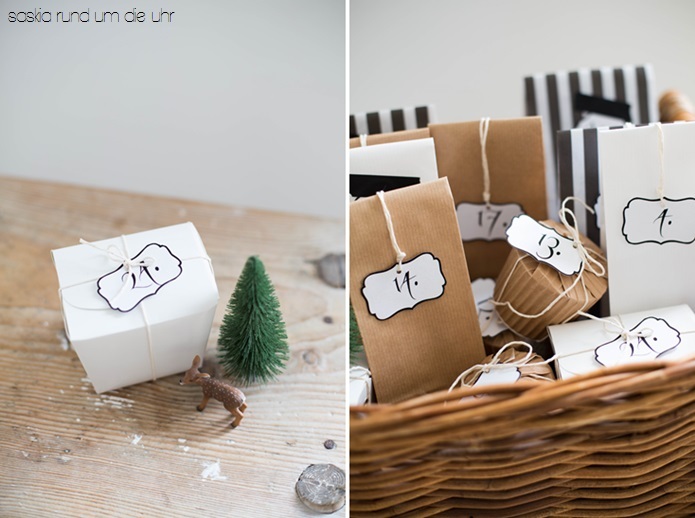 Then, why don’t you make your own for this Christmas and use this idea to make a DIY advent calendar? You just have to find a nice quote that will make you want even more Christmas to come! This is a good alternative to the sweets and chocolates and it’s perfect if you want to keep your diet! 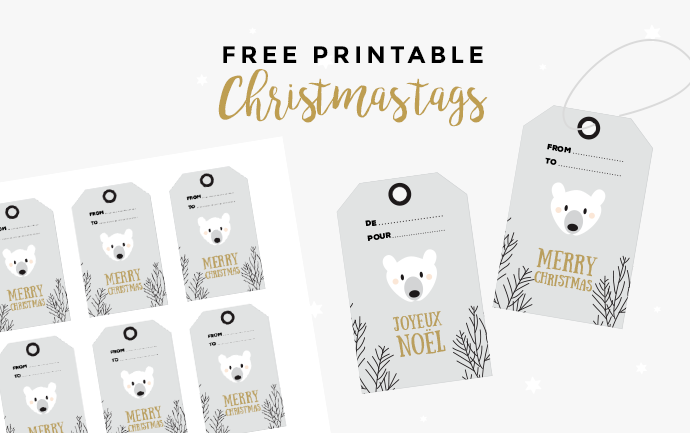 Download and print for free the Christmas numbers to stick to your advent calendar! You will get a free PDF including one sheet to print in color to enjoy the natural and christmassy colors of the macarons. 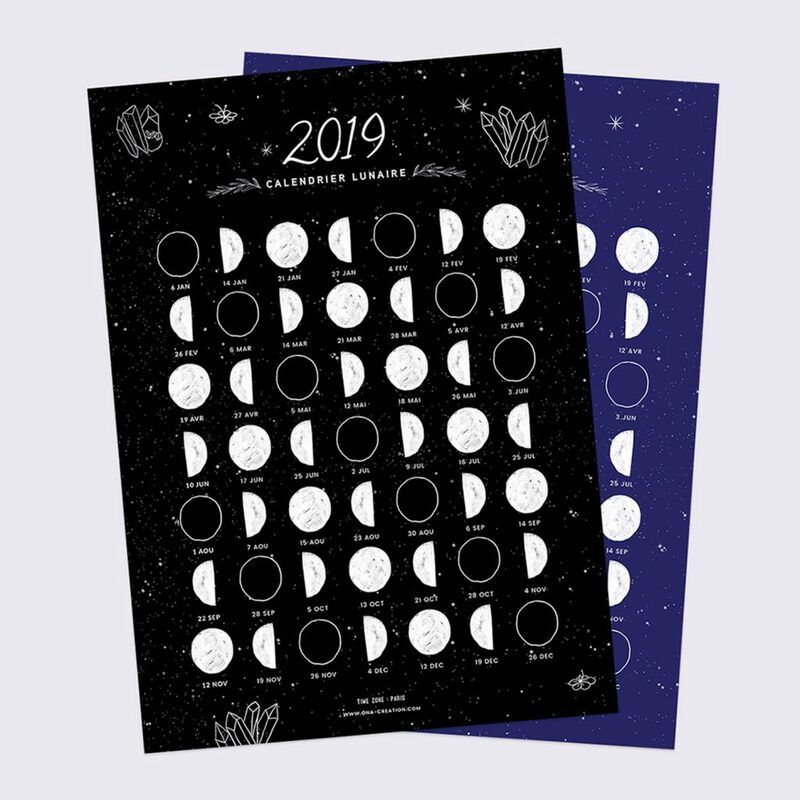 This sheet can be printed on a normal or sticky paper in an A4 format. You just need a printer, a pair of scissors and a something to stick the numbers to your gifts to make your own DIY advent calendar! So what are you waiting for? 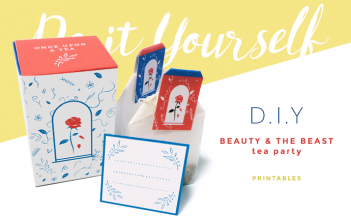 How can I download this free printable? You just need to like our Facebook page or tweet about this product using the plugin below. To do so, it’s very easy: either you click on the Facebook button or the Twitter one. Then, you will see a pop-up window which will suggest you to either like our page on Facebook or share a tweet! Once done, these buttons will disappear and you will get the download button instead to have access to the free printable! It’s super easy. And discover our last creations on our Etsy Shop. Graphic & web designer freelance since 2013 — Co-creator of ONA Creation. 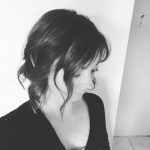 I'm in charge of all the creations of the blog and the Etsy shop ONA Creation.